Nebraska football fans thought the dismissal of Bo Pelini and the hiring of Mike Riley was the end of a tumultuous relationship between Pelini and the outside world. They thought wrong. Nebraska football fans heard news of another surreptitious recording of Bo Pelini uttering profanities, this time during his half-hour meeting with the team on Dec. 2 after his firing. A transcript of the recording, obtained by the Omaha World-Herald, said that for “the majority” of that meeting, Pelini complained about Nebraska athletic director Shawn Eichorst. Or, more accurately, he stood in front of a group of college kids and called Eichorst names. One of Pelini’s prime complaints about Eichorst was his lack of public support for Pelini. Of course, this wasn’t the first time Pelini has been stung by a leaked audio. Last year, Deadspin released an audio tape of Pelini angrily berating Nebraska’s “f—ing fair-weather fanbase” after a comeback win over Ohio State. Perhaps a bit of advice may be in order. If people are referencing a recording of your embarrassing and profanity-laced tirade, and you have to ask which one they are referring to, you’re probably doing something wrong. In all honesty, there was probably some merit to Pelini’s complaint about a lack of public support from the top brass at the university (although former Nebraska player Scott Shanle did point out how little that should probably matter to the players on Twitter.) And with two separate releases of damaging and embarrassing audio tapes, the conspiracy theorists will have free reign to craft scenarios about Nebraska brass setting bugs to catch Pelini. At the end of the day, though, that’s not the point. 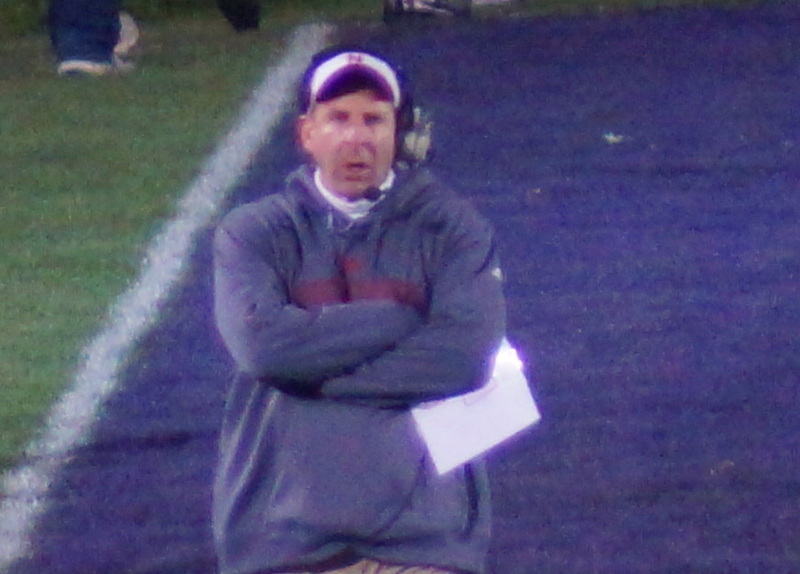 Pelini is a 47-year-old man. He’s been one of the most influential leaders in the lives of the players on his team, players who just were shell-shocked to learn that their coach had been fired. They’re looking to Pelini for leadership, for guidance on how to handle a traumatic event in their lives. No introspection on what Pelini might have done differently. No advice to his players on how to handle the situation other than a perfunctory do-what-you-want suggestion and an admonition to call him. Nope. Pelini’s team was a captive audience for the final act in this seven-year drama. As a result, perhaps we shouldn’t be so self-righteously stunned that one of those players recorded and leaked the audio of that final act. Steven M. Sipple of the Lincoln Journal-Star called Pelini’s rant to his players “selfish,” which is the perfect adjective. Sipple went on to defend Pelini in a way, reflecting that the job consumed Pelini, making it impossible for him to continue. The job consumed Pelini? Or Pelini allowed the job to consume him? “I have been at LSU, I have been at Oklahoma, I have been to these other places. … The scrutiny, the negativity, it ain’t like that everywhere,” Pelini said to his team. With all due respect, that’s nonsense. LSU coach Les Miles is under unremittent pressure in Baton Rouge—and he’s won a conference title and a national title. Oklahoma coach Bob Stoops feels the heat in Norman—again, with one more national title ring on his finger than Pelini has. But, again, that’s beside the point. It doesn’t matter whether Pelini was justified in his complaints about Eichorst and the Nebraska brass. What matters is Pelini—after having more than enough time to marshal his emotions and compose his thoughts—chose to teach his players that the way to handle adversity is by dropping c-bombs about another adult in an ostensibly closed-door setting. It was the same lesson he taught his players when he swung his hat at the referee during the Iowa loss in 2013. It was the same lesson he taught his players when he called out the “f—ing fair-weather fans” whose devotion paid for his salary and the palatial facilities in which the football team operated. When the going gets tough, just lash out blindly. Bo Pelini had many good qualities and characteristics. He did a lot of good things for a lot of people, there is little doubt about that. But when push came to shove, Pelini was incapable of responding to pressure and adversity like an adult. Fantastically said. One of my friends pointed out that Pelini was no doubt speaking from his own perspective here and that there probably was a kernel of truth to at least most of what he said. Whether or not Osborne was forced out or the administration was mad that the Huskers rallied to beat Iowa is something we can’t possibly know, but it certainly looked that way to Bo, and there no doubt was something that made him think that. But in no way does that justify a 47-year-old man who’s had two days to process his situation looking young, impressionable college students in the eye and calling their AD, who they still have to work with, those words. And then he starts complaining that Eichorst didn’t have a relationship with the football players, as if he hadn’t just destroyed any potential future relationship. There was no reason for this to happen and no way to justify what he did. One final point: In between flinging pointless insults at Eichorst, one point Pelini labored on was how nobody cared about what happened to the players, every journalist in the world would talk about this and that in relation to the firing and how it would affect so many things about the program, but no one would even stop to think about how it affected the players. And for the large part, I think he was write. Because there was only one man I heard during that time expressing his concern over how this decision would impact the young men who represent our state wearing the crimson and cream. I really try hard to cheer for people and not against them. I try my best never to call for a coach’s job. I cheered for Callahan from his first game in 2004 right up through Colorado in 2007, and when they announced the next day he’d been fired I knew it was the right decision, but I still felt for him. I have never said these words in my life. I am so glad this man got fired. Well said. Thanks for the read and such a thoughtful response!